During the past week, four new single family homes came on the market in Monroe NY. Total inventory decreased from 140 to 134 available homes. This is the second week in a row that inventory declined. While the market is still balanced with approximately six months of inventory available, it may be moving towards a seller’s market. We’ll have to keep an eye on the market over the next month or so in order to know for sure. 5 Oxford Lane, MLS #4842587, listed at $299,000. This three bedroom, one and a half bath raised ranch home has 1,884 square feet of living space and a third acre of land. The village of Harriman home has a kitchen with stainless steel appliances and granite countertops, a storage room with laundry, and family room with den or office. Outside are two decks, an in-ground pool, one car garage and driveway. 555 High Street, MLS #4832037, listed at $319,500. A three bedroom, two bath raised ranch style home with 1,484 square feet and ~ quarter acre of land is also available. This home has central air conditioning, hardwood flooring, a marble gas fireplace with fan and a whole house purification system. Outside is a two car garage, driveway and fenced backyard. 14 Amy Todt Drive, MLS #4847084, listed at $365,000. This four bedroom, two bath bi-level ranch has 1,744 square feet and nearly a half acre of land. The home has access to a lake for swimming, boating and kayaking with a private beach. There are hardwood floors, an eat-in kitchen with granite counters, an in-ground pool, level yard, garage and driveway. 22 Tanyas Court, MLS #4846924, listed at $515,000. Also for sale is a four bedroom, two and a half bath colonial home with 3,092 square feet of space and three quarters of an acre of land. The home has central air conditioning, hardwood flooring, an eat-in kitchen with stainless steel appliances and living room with fireplace. Outside is a deck, two car garage and driveway. Click the photo below for more information on these properties. If you are in the market for to buy or sell a home, the above will help you understand local real estate inventory. 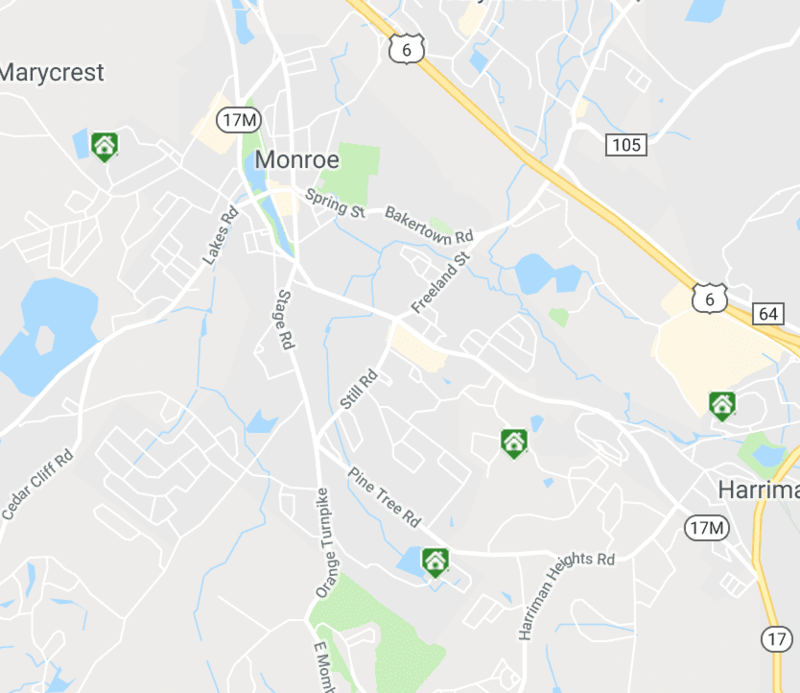 If you would like information on any properties in the town of Monroe NY (or elsewhere in Orange or Rockland County NY), feel free to contact me on 914-419-0270 or via email at kat@thehousekat.com.